Your matter can be settled with negotiation through mediation. Mediation is a optional practice to avoid the legal system to reach an agreement. Legal advice may be necessary to provide you with an understanding of the strength or weakness of your position to help you negotiate but in many cases, a mediated common sense approach secures success. Indeed, Mediation has the capacity to help resolve disputes at a cost much, much lower than by using the legal profession. Mediation fees are shared by the mediation clients. An outcome is not imposed on the parties so the process of mediation allows participants to remain in control. Quick: Mediation sessions are often resolved within 30 days. Informal: Our mediation process will not result in court or police records. ITO Mediation mediates all types of disputes: personal, family, small business, commercial, corporate, government and international. Interstate matters - through our interstate ITO Mediation offices we are able to arrange mediation if your matter concerns people or companies located elsewhere. International disputes - Similarly, if your dispute is with a person or company in another country we can arrange co-mediation using any of our ITO Mediation offices and our International Strategic Mediation Partner in most countries. Facilitation – Difficult situations can be anticipated and negotiated when no dispute exists currently but may occur because of the nature of the matter. Advocacy – in disputes where the other party will not participate in mediation you are welcome to use our Advocacy service where we solely represent you in the negotiation of a settlement. ITO Mediation is a division of ITO consulting company who has been in business since June of 2000. We specialize in employee-employer disputes as well as union-management settlements. What is Mediation? Mediation is a process in which people, organizations or businesses in dispute are assisted by a Mediator to assist them to reach an agreement which settles the dispute. Mediation encourages negotiation in a non-threatening environment. Mediation and the Legal profession ... how are they different? There are two teams of lawyers: one representing the person who initiated the proceedings; the Complainant, and the person defending the case, the Defendant. From the outset, the lawyers mostly adopt an aggressive position in representing their clients in the case. As a consequence of adopting that stance, the lawyers of each side generally widen the dispute as they seek as many additional arguments and accusations against the other side as is possible. That means that even simple matters become complicated quite unnecessarily and the clients find themselves in an evermore entangled expensive legal battle. In contrast, the process of mediation, instead of widening the dispute tends to narrow it by encouraging clients to concentrate on the key issues and focus on finding a mutually acceptable resolution. Another difference is the rate of progress of the matter. In mediation, there is an emphasis upon reaching agreement in as short a period as possible. Providing the parties co-operate in that Endeavour, the matter can be dealt with efficiently which of course means that the cost of resolving it can be a tiny fraction of a legal proceeding. Does the Mediator take a neutral position? Yes. A good mediator does not sit in judgment and favors neither party. His or her objective is to help the parties discover ways of securing an agreement. Certainly, the mediator can, in private, discuss with each party, the logic of the position each person is taking which may assist people to see the dispute more objectively. The mediator will not push people into reaching agreement, but will promote the concept of reaching a harmonious outcome. If negotiations are successful through mediation, what is the next step? 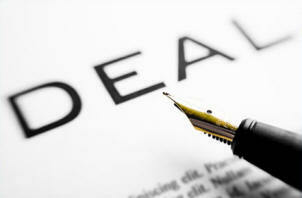 The mediator can prepare a settlement agreement document for both parties to sign. Usually the mediator recommends that the parties take legal advice on the wording of the document to ensure it represents the detail of the agreement accurately. What if no agreement is secured through the application of mediation? Sometimes there are just some items upon which the parties can agree. Even if that leaves other items of disagreement, the matters of agreement should be documented because if the parties subsequently choose to litigate (use the Courts), then at least the matter’s complication has been reduced and the litigation then should be less expensive. Without agreement through mediation, there are commonly two options: 1. To use the legal system and commence proceedings or 2. To leave the matter unresolved and do nothing. Neither option is usually very attractive and hence the great value of the parties trying to reach agreement in a spirit of goodwill through the use of mediation. What is the cost of mediation services? Because the parties share the cost of mediation 50/50, the cost is vastly lower than litigation,. Secondly, because the mediation process narrows the dispute, the amount of time involved is far less and hence the cost is proportionately less. The mediator charges an hourly fee and that fee varies depending upon the experience and skill of the mediator and whether specialized knowledge is required. However, the bottom line is that mediation is the least expensive method of resolving a dispute and hence is highly valued by most people who have experienced its unique opportunities and qualities. Why is mediation an intelligent approach to settling disputes? For business, there is nothing more destructive than disputes. Left to fester, a dispute can bring growing resentment, bad publicity and frequent distractions. For personal disputes, mediation reveals opportunities for renewing relationships or at the least the reduction or elimination of harbored feelings of ill will. And of course, the saving of money. Many people’s life’s savings can be lost through expensive legal proceedings, far greater than had ever been imagined at the outset. Mediation just makes sense. Using mediation in the workplace - for example, to resolve employee disputes. Never has there been a time when it has been so important to stop bullying in the workplace. Owners, managers, and supervisors are, or will be under a legal obligation to take appropriate steps to protect people in the workplace from the torment of bullying. It has become a criminal offence and people found guilty of bullying or ignoring bullying may receive prison sentences. Mediation can be an ideal remedy for employee disputes. Business enterprises and organizations should have mediation facilities available (via independent mediation firms) for use by its employees and explained in employee handbooks, procedure manuals and codes of conduct.